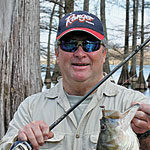 Mike Giles of Meridian has been hunting and fishing Mississippi since 1965. He is an award-winning wildlife photographer, writer, seminar speaker and guide. 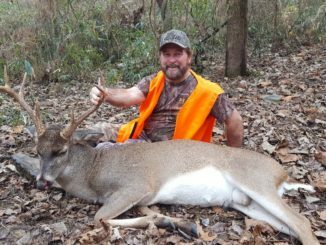 Hayes Nance was scanning the area around his stand, looking for a deer or any sign of movement, when, without warning, the woods came alive, and a couple of yearlings burst out, followed close behind by their mothers. 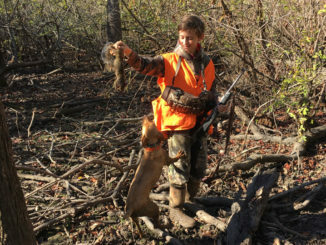 Patrick Allen dropped his tailgate, and Honey Girl hit the ground running wide open into the hardwood bottom — a squirrel dog on a mission. 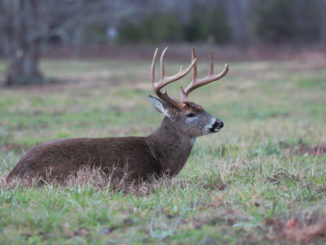 Brad Madden sat high in a climbing tree stand overlooking an open bottom frequented by grass-browsing does that were beginning to be chased by bucks at the onset of the rut. 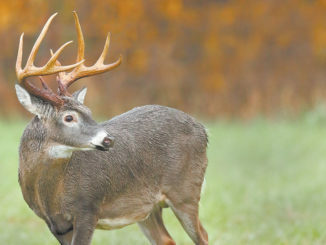 He had seen a few does earlier in the afternoon, but nothing with antlers. 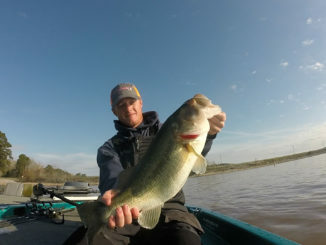 Justin Giles doesn’t just fish at night for bass in the summer because it’s coolers, but because that’s when he catches some of the biggest fish of the year. 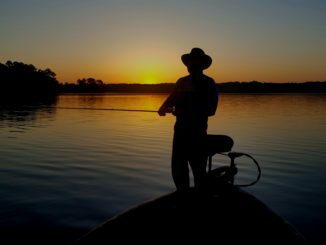 Here are some of his tips that can help you find and catch more fish after dark. 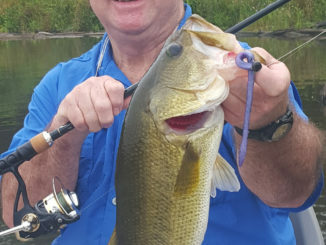 Ken Covington steered his boat to just the right spot in the shallow creek, putting his father and favorite fishing partner, Jerry Covington, where he could pitch a white spinnerbait near a promising brush top. 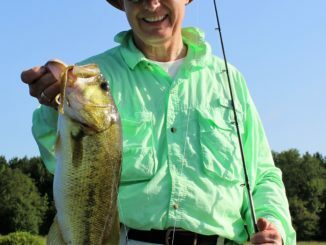 What does May have in store for Mississippi bass fishermen? 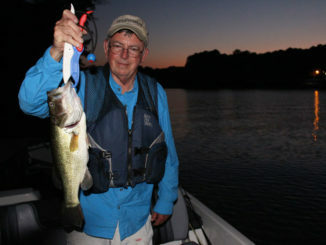 After studying his depth finder, Hunter Miles made a cast in the direction of a submerged tree, working his Carolina-rigged worm into the brush top. 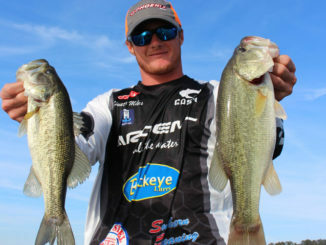 When Brock Mosley hits new water for the first time, he scouts … for birds. 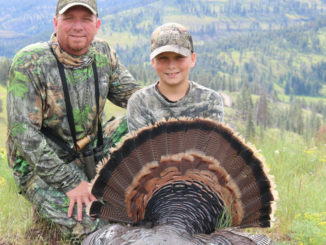 Getting a turkey grand slam — killing all four sub-species, Osceola, Eastern, Merriam’s and Rio Grande — in a single season is a daunting task. 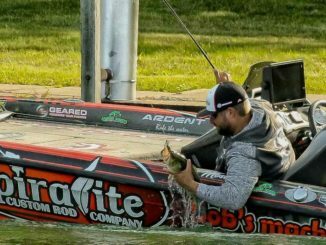 Imagine a father and son accomplishing it; Scott and Jake Ellis did it in 2017.